Singer finally gives the people what they want! Finally! And Michael is "on top of the world!" Great shot! How does he manage to look that good. 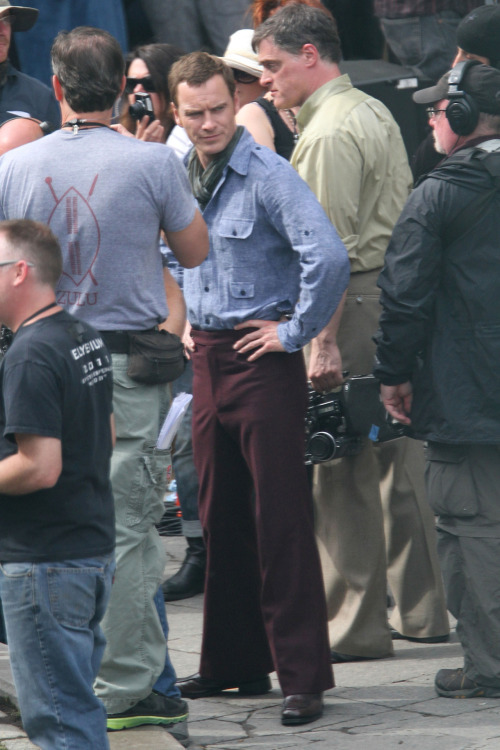 It's the 70's yet he pulls it off. It's like it doesn't matter what this man wheres. 70's Fassy is just as ethereal as 2000's fassy. As Quagmire says! Ahhright! !